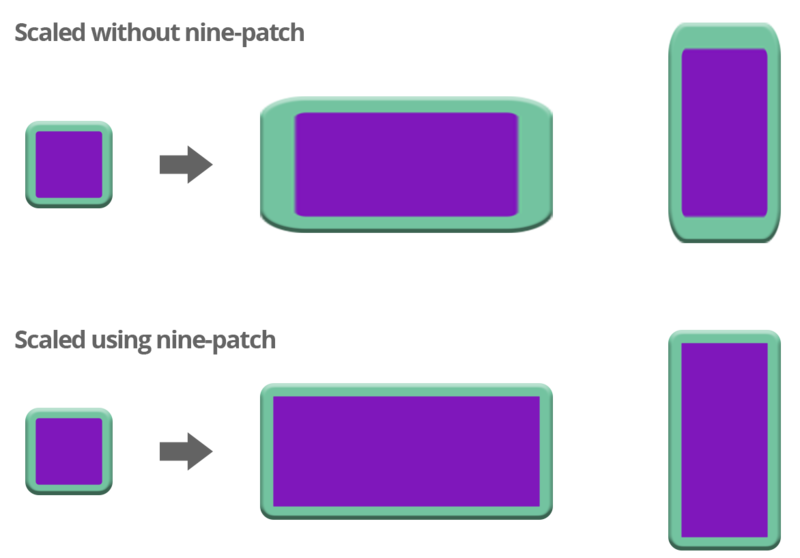 A Nine-Patch is an image format that adds extra information on an image file, defining what parts of it should be scaled (and which are not) when the image is rendered in a larger or smaller size. This technique was introduced in the Android SDK and is very useful for creating UI components like buttons, panels, containers, etc. 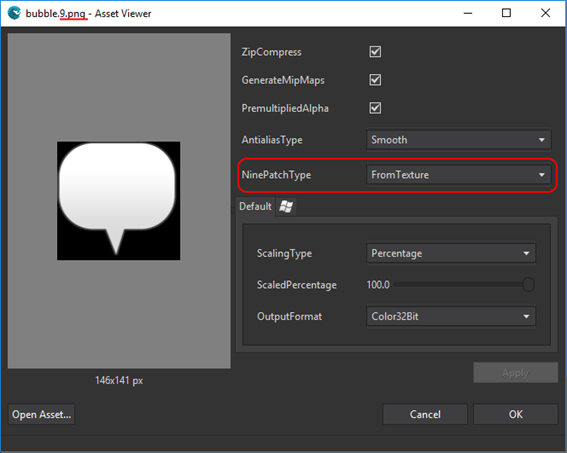 Using this technique, you can define the background of multiples UI components like panels or buttons with the same image asset. You can also create large panels with a reduced image asset so is very useful for optimizing your project resources.